Silver contoured-plastic case offers a simple, stylish look and durability. UV-protected lens helps protect the clock against sun damage. 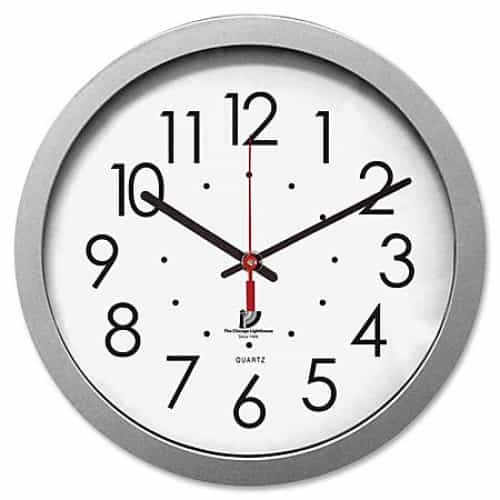 White 12 3/4" dial with black hour, minute and second hands creates a high-contrast appearance for easy reading. Very aesthetically pleasing to the eye in our office. Large numbers, Affordable.